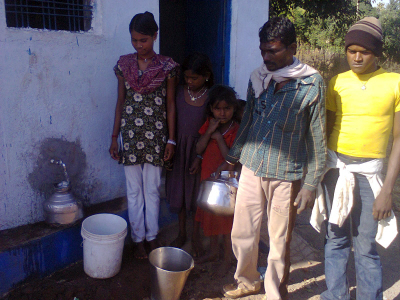 Haritika is an NGO which works in the Bundelkhand region of Uttar Pradesh and Madhya Pradesh, India. 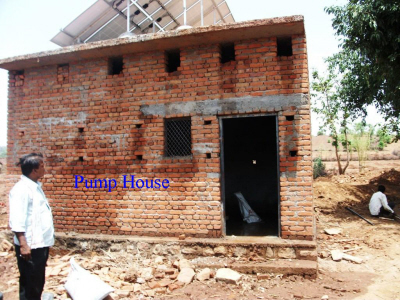 It strives to bring about a positive change in lives dominated by extreme poverty, illiteracy, disease and other handicaps. 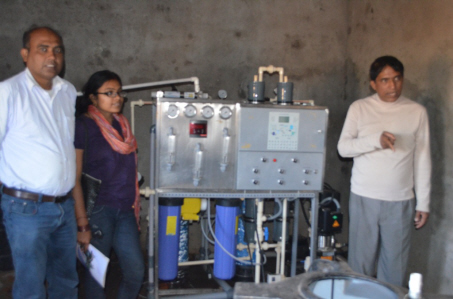 Haritika’s developmental interventions are in the areas of Natural Resources Management, Women’s Empowerment and Water, Sanitation & Health Education. 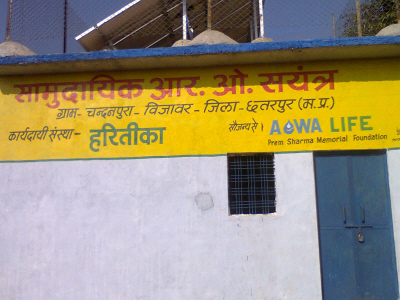 They have been working in partnership with the gram panchayats or local village councils. 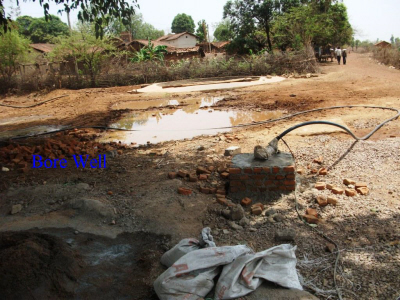 One of the regions identified for major development work is Chattarpura district in Madhya Pradesh, a semi-arid region with low rainfall and consequently low water tables. 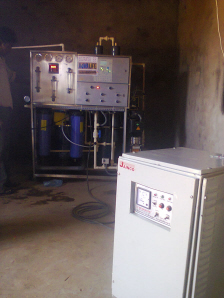 The decreased water tables and increased hardness in the water have adversely impacted both drinking water and agriculture. 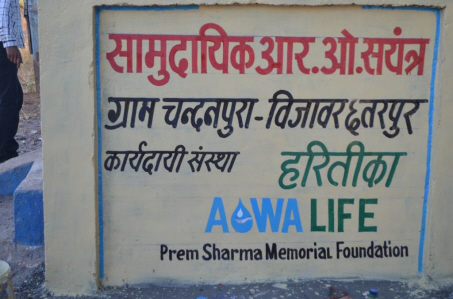 Aqwalife has partnered with Haritika in Chandanpura village in this district, where the residents have had severe drinking water shortage because of these conditions. 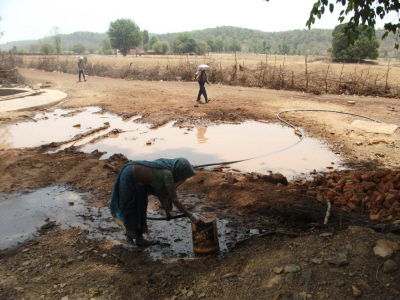 An added disadvantage has been the high percentage of iron in the ground water. 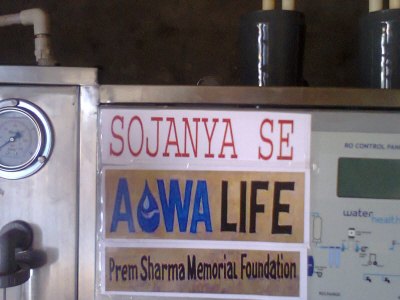 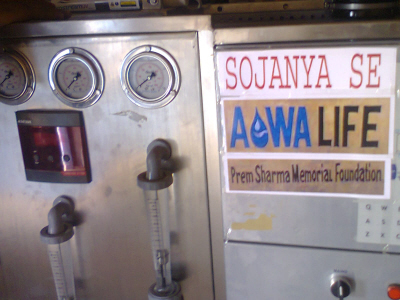 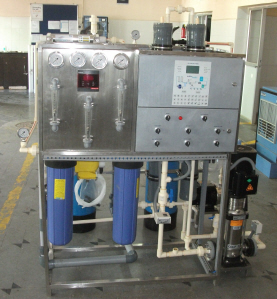 Aqwalife has sponsored an RO plant for Chandanpura, which has made the ground water potable and decreased the iron content, thus easing the drinking water problems of the entire village. 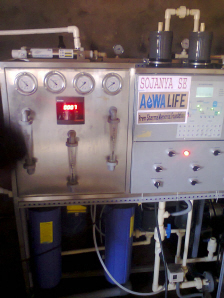 The RO plant is operational and is now being used by the villagers. 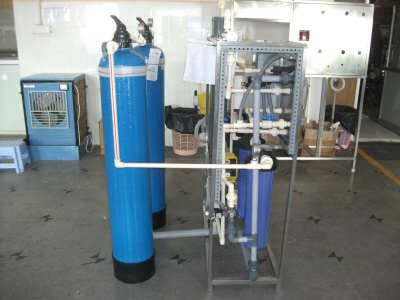 This project will be sustained by Haritika’s Community Based Natural Resource Management, through which the local community will be involved in maintaining the RO plant.